A part of the US Department of State, the Foreign Service Institute (FSI) is the federal government’s primary training institution for America’s diplomatic corps. Located at the George P. Shultz National Foreign Affairs Training Center (NFATC) in Arlington, Virginia, FSI prepares American diplomats and other professionals who man overseas embassies and consulates. The first school for diplomats did not open until 1909, more than a century after the State Department was founded. The school provided limited instruction for America’s foreign representatives, as did a subsequent training school that opened in 1920. It wasn’t until the Foreign Service Act of 1946 that Congress mandated advanced training for diplomats. The Foreign Service Institute (FSI) opened in 1947 in the Mayfair Building in Washington, DC. The institute included four schools: Basic Officer Training, Advanced Officer Training, Management and Administrative Training and Language Training. From the beginning, FSI sought to utilize state-of-the-art technology to facilitate learning. The School of Language Training incorporated intensive methods of language instruction that only the armed forces used at the time. Funds were appropriated for basic manuals and phonograph records from the US Army along with $30,000 in record players, SoundScriber tape recording machines and other equipment. But this investment in the school proved insufficient. The Wriston Report in 1954 severely criticized the amount of support and resources devoted to the fledgling FSI. The following year, the Mayfair Building underwent a complete renovation, as did the school’s curriculum. Old courses were revamped and a combination of new, shorter courses and longer specialized training was added. For the first time, courses were open to wives. The new program included three periods of concentrated, full-time training for new, mid-career and senior officers. There was constant emphasis on increasing language skills. FSI continued to live a gypsy life over the succeeding years as it moved from one temporary location to another, eventually migrating from Washington, DC, to two State Department annex buildings in Arlington, Va. Even as plans were under way in the 1980s to move FSI to its current site at Arlington Hall, professional training once again got a new look, with new curriculum that moved away from the traditional lecture-based format. Role-playing began being used, allowing, for example, students to pretend being an American in a foreign jail and an official who has come to visit. The next big change for FSI came when it moved into its permanent home at Arlington Hall. The former home of Arlington Hall Junior College, an all-female school founded in the 1920s, and later an Army installation, the new FSI campus consisted of a 72-acre plot of land with four old structures: a yellow-brick Old Main building: a gymnasium; and two historic Sears Roebuck pre-fabricated cottages. All were renovated and put to use by FSI. In October 1993, FSI officially opened at its new location, known as the National Foreign Affairs Training Center. In 2002 the center was named after former Secretary of State George Shultz, who was instrumental in creating a permanent home for FSI. It was also Shultz who advocated the creation of the new campus because other government employees in addition to Foreign Service officers would attend classes. The move to the current campus coincided with serious budget cutbacks for the State Department during 1990s, along with a significant drop in Foreign Service recruitment and a corresponding increase in pressure on personnel to reduce or even forgo time in training. The situation improved in the current decade thanks to the Diplomatic Readiness Initiative in 2001, which provided more resources. Today, the school is experiencing high demand for all of its courses. In 2004 more than 40,000 students took 425 classroom courses, including some 60 languages. A part of the US Department of State, the Foreign Service Institute (FSI) is the federal government’s primary training institution for officers and support personnel of the US foreign affairs community. Located at the George P. Shultz National Foreign Affairs Training Center (NFATC) in Arlington, Virginia, FSI prepares American diplomats and other professionals to advance American interests overseas and in Washington, DC. FSI provides more than 500 courses, including some 70 foreign languages, to approximately 50,000 enrollees annually from the State Department and 40 other government agencies and the military. Among the available courses are Promoting American Wine Overseas, Singles in the Foreign Service, and Encouraging Resilience in the Foreign Service Child. FSI programs train Foreign Service Officers to perform administrative, consular, economic/commercial, political and public diplomacy tasks. It also trains specialists in the fields of information management, office management, security, nursing and medical care. Ranging in length from a half-day to two years, courses are designed to promote successful performance in each professional assignment, ease the adjustment to other countries and cultures and enhance the leadership and management skills. Other courses and services help family members prepare for the demands of a mobile lifestyle and living abroad. One FSI course that is mandatory for all government employees, and their families, working overseas is "Safety Abroad for Families and Employees" (SAFE), a four-day training program designed to teach personal security awareness training. The program includes the content of two FSI courses: "Working in an Embassy" and "Security Overseas Seminar (SOS)." FSI’s Training Division offers programs and special events to prepare employees and family members for an overseas assignment or returning to the US. The continuum of training begins with presentations and courses for those new to the foreign affairs life and goes through to the retirement workshop level. Some courses specifically apply to spouses, and others focus on children’s concerns. The new Foreign Affairs Community Life Skills Training Continuum (PDF) offers suggested courses for entry-, mid-, and senior-level Foreign Service Officers, specialists, non-State foreign affairs employees and family members. The Overseas Briefing Center provides information on overseas posts and the foreign affairs lifestyle, including: country briefing boxes containing post-specific information; post-specific audiovisuals; updated pet travel facts; cultural guides and cross-cultural reference books; and Washington, DC area information (including facilities near FSI). The Career Transition Center (CTC) provides training, counseling, job leads and other assistance to employees of the State Department and other federal foreign affairs agencies who leave government service. The CTC conducts two flagship programs: the Job Search Program and the Retirement Planning Workshop. Two parts of the four-part Retirement Planning Workshop can be taken separately: Financial Management and Estate Planning Workshop and Annuities, Benefits, and Social Security Workshop. Approximately half of the staff at the Foreign Service Institute consists of individual contractors. FSI relies on these contractors to help teach many of its 500 courses. The school also contracts with some private businesses that provide services in support of FSI’s educational programs. One such company is Pal-Tech, which has, according to its web site, a “growing multimedia development contract at FSI” to help develop distance learning courses in foreign languages, crisis management, technical training and professional studies. FSI also has numerous government stakeholders due to the non-Foreign Service government employees who attend classes. These agencies include the State Department's Bureau of Human Resources, Bureau of Consular Affairs, Bureau of Economic and Business Affairs, Bureau of Information Resource Management, Bureau of Diplomatic Security, US Agency for International Development and the Office of Personnel Management. 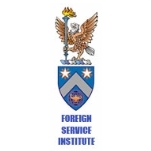 An article (PDF) on the Foreign Service Institute in the July/August 2005 edition of Foreign Affairs Journal reported numerous concerns by FSI students about the school. Complaints about the curriculum and instructors revealed shortcomings in FSI’s efforts to prepare America’s diplomatic corps. Language instruction, one of FSI’s most crucial missions, suffered from a lack of quality instructors in some departments. The post-9/11 world placed a premium on Arabic, but FSI had failed to hire a sufficient number of qualified staff to meet the skyrocketing demand. One student complained: “I had one teacher who was newly recruited, confessed that she hated to speak Arabic and did not seem to particularly like teaching.” Several other students noted that even though all FSI classes are supposed to be “immersion” (i.e., conducted in the foreign language), some instructors consistently used English - even after students had asked them not to speak English. Other complaints faulted FSI’s longstanding requirement that all language instructors be native speakers, diluting the pool of available talent, while still others centered on the issue of lack of uniform instruction. One former student said they completed their studies at FSI with no systematic understanding of Arabic, a complex language, and argued that private schools such as Middlebury College were more up to the task of teaching the language. Again, instructors were at fault, many of whom were Soviet ex-patriots who had been taught in a style heavy on rote memorization, with little focus on practical use and no tolerance for different learning styles. Area studies, another critical part of the curriculum, came under attack for its out-dated methods. Several former students argued that it would be better for FSI to contract out this area of instruction either to private firms that prepare American businesspeople for overseas assignments or to universities that specialize in particular regions of the world. FSI’s leadership admitted it was looking into revamping the school’s area studies program, which had changed little in 50 years. There also were allegations of political bias in the selection of guest speakers and written materials for some courses. For example, a retired US Information Agency officer who periodically lectures at FSI asserted that speakers and written materials highly critical of Israel were prevalent in the Middle East Area Studies program. Beginning in September 2006, the Foreign Service made a radical change to its vaunted examination process. Whereas candidates used to take a rigorous seven-hour written exam covering a wide range of topics just to move on to an even tougher day-long oral exam, Foreign Service aspirants are now subject to a revamped process that some veterans diplomats have criticized. The lengthy oral exam is still required, but getting to that stage is quite different. Holbrooke and other veteran diplomats worry that the change in the examining process might allow those with political connections to gain entry into the Foreign Service which would dilute its reputation as one of the most respected segments of the federal workforce. State Department officials insist the new process will maintain the diplomatic corps’ rigorous standards and only allow in the best and the brightest to man America’s embassies. The change came about because the State Department, like the rest of the federal government, is facing a shortage of qualified employees over the next decade as Baby Boomers retire. In just the next two years, in fact, the Foreign Service will need to hire 1,400 new officers to offset retirements and increased workloads. The State Department believes it can meet this challenge with the “total candidate” process which reduces the amount of time it takes to hire new officers from 14 months to seven. Approximately 18,000 applicants attempt each year to join the Foreign Service. Historically, only a few hundred pass all of the exams and become FSOs. i was born on a military base in germany, as both of my parents were in the army. i have a certified copy of my birth certificate, however it doesn't have both of my parents names on it. my parents were married when i was born. it is time sensitive that i obtain another copy showing both of my parents names on it, as i need it for my financial aid to be approved. any assistance that you can give me in this matter would be greatly appreciated. the computer mentions that the institute has a couple of sears cottages in your inventory. will you be disposing of either of them? i have a creekside lot out in springfield virginia that that is waiting for a special house. hugh j. dolan,1957 institute graduate (spanish). can you please tell me how i can apply for a language teaching position at fsi? many thanks in advance m.
Nancy McEldowney, a former ambassador and career foreign service officer, took over as head of the Foreign Service Institute in February, 2013. McEldowney is from Clearwater Beach, Florida, and graduated from Clearwater High School in 1976. She went on to St. Petersburg College, where she earned an associate’s degree and then to New College in nearby Sarasota, where she graduated in 1981 with a B.A. in economics. McEldowney subsequently earned a master’s in international affairs from Columbia in 1986 and another master’s degree from National Defense University (NDU). McEldowney joined the State Department in 1986. Shortly thereafter, she accompanied President Ronald Reagan to the summit in Reykjavik, Iceland, with Soviet Premier Mikhail Gorbachev and in 1988 went on a similar assignment to Moscow. Her early overseas assignments included postings to embassies in Cairo, Egypt and Bonn, Germany. In Washington, McEldowney worked in the Office of Soviet Affairs, the Office of European Security Affairs, the European Bureau and the Office of the Deputy Secretary. She also served in the Office of the Secretary of Defense at the Pentagon. She was also among the U.S. delegation to the Strategic Arms Reduction Talks with the Soviet Union in Geneva, Switzerland. McEldowney served as deputy chief of mission in Baku, Azerbaijan from 2001 until 2004, with a stint as chargé d'affaires in 2003 and in similar roles in Ankara, Turkey from 2005 to 2008. She then was briefly the director of European affairs for the National Security Council before going to Bulgaria as ambassador in August 2008. Her stay there only lasted a year, however. In 2009, she was called back to Washington by then-Secretary of State Hillary Clinton to serve as principal deputy assistant secretary for European and Eurasian affairs. In this position, she found herself in the midst of a controversy when the government of Scotland released Pan Am 103 bomber Abdelbaset al-Megrahi on medical grounds when some believed the terrorist was not as sick as was claimed. On September 29, 2010, it fell to McEldowney to testify to the Senate Foreign Relations Committee that the Obama administration had opposed the release. Al-Megrahi died in Libya two years and nine months after his release. Some of McEldowney’s State Department cables, as released by WikiLeaks, are refreshingly blunt, although they were not so well-received by members of the governments of Turkey and Bulgaria. McEldowney stepped away from direct diplomacy in late 2011 to become senior vice president of National Defense University until taking over the Foreign Service Institute in 2013. While at NDU, she served briefly as interim president. McEldowney is married to Tim Hayes, a former Air Force fighter pilot who now works for the State Department. They have two daughters, Jessica and Alyssa. 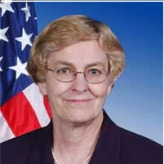 A native of Texas, Ruth A. Whiteside has served since February 2006 as the director of the Foreign Service Institute. She received her BA in History from Austin College, an MA from the University of Texas in International Relations and a PhD from Rice University. Whiteside served in the Foreign Service from 1978 to 1984. Whiteside’s assignments included service in Spain, as well as on the policy planning staff, the Bureau of European Affairs, the Bureau of Diplomatic Security, and as executive assistant to the State Department’s Under Secretary of State for Management. She then served as the assistant director of the Southwest Center for Urban Research and the Institute for Urban Studies at the University of Houston. From 1997-2001 she was the deputy director of the Foreign Service Institute, followed by her assignment as the principal deputy assistant secretary in the Office of the Director General, Bureau of Human Resources from 2001-2006.